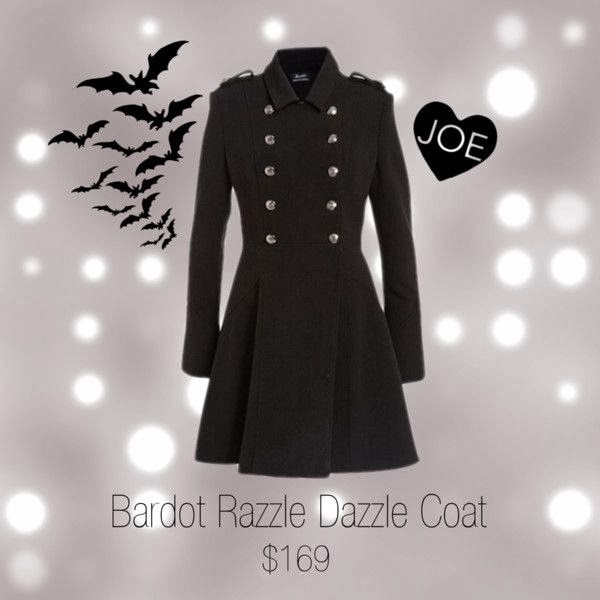 shop JOE: New Bardot & A Spooky Sale! Happy Halloween glamour ghouls! Our treat to you is 15% off everything on our site, now through Sunday! The High Collar tank features the most coveted neckline of the season! It's sleek, unique, and practically begging to be worn with your favorite skinny jeans or statement pants for the holidays. This coat wasn't named the "Razzle Dazzle" for nothing! The chic double-breasted design features brass buttons and military-inspired shoulder tabs. Understated and flattering, this coat is an outerwear staple that every woman should have in her closet. We'll certainly be wearing it over our holiday dresses this season! Shop before Sunday to get a deal so good, it's almost scary. Enter the code JOELUVSYOU at checkout to get 15% off sitewide, and don't forget about our other new arrivals from Bardot, Michael Lauren, Blaque Label & more!